The first time we met Darth Vader was in the opening moments of Star Wars, emerging through a blasted doorway and passing through curls of smoke aboard the Tantive IV, Princess Leia’s diplomatic ship. In little time, his angry James Earl Jones’ voice snarls commands to scour the ship for Leia and the Death Star plans and from that point on, he remains a black visored figure capable of unforgiving command and incredible Force provided powers. We are never allowed inside Vader’s mind, but for his attempts to convince Luke to join him in overthrowing the Emperor and ruling the galaxy. Arguably, some of his most fascinating moments occur when Vader does nothing at all, but simply stands quietly before a window full of space or by his master’s side as Force lightning writhes over his son’s pain-filled body. Then everything changed when Disney purchased Lucasfilm and the Star Wars franchise. The old expanded universe was wiped away and a new one put into production. Among these new entries are several which are dedicated to Darth Vader, namely a comic series by Marvel, a novel Lords of the Sith, and to a degree, the novel Tarkin. 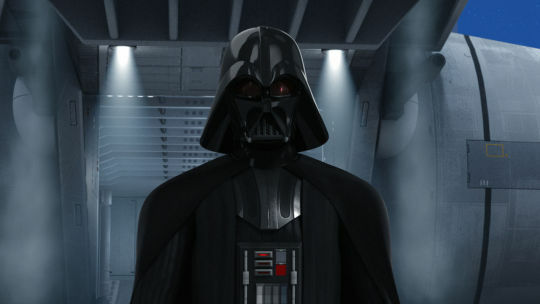 Vader has also made an appearance in the Rebels television show. 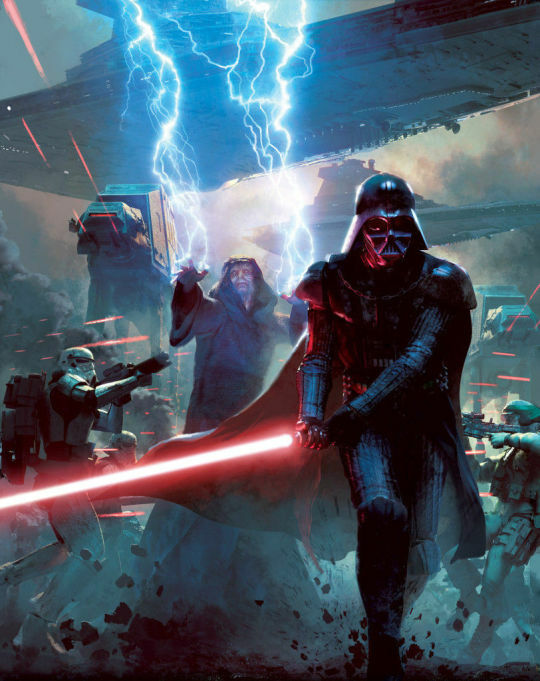 Your writer has read Tarkin and seen Vader’s appearance on Rebels, and both offer a good point of discussing Vader’s place in the new expanded universe. Tarkin is a novel split between two purposes, providing a biography of Grand Moff Tarkin and an adventure between Tarkin and Darth Vader sent on a mission by Emperor Palpatine. In the process, the reader is provided a story in which Vader figures prominently, and is treated to him in conversation, including what is tantamount to thinking out loud. It’s odd, because Vader’s representation here conflicts with how Vader was represented in the Original Trilogy. The camera does not so much as follow Vader around, as capture momentary scenes which hint at his thought processes, plans and emotions. The sole exception being when he shares the scene with Luke, his son, in Empire and in Jedi. For the most part, Vader lurks in the back of the mind insubstantial but for those frightening or intimidating moments he steps forward to issue an order or attempt to seduce his son to the Dark Side. Reassuringly, this is extremely similar to how Vader is treated in Rebels. Notably, the Rebels television show all but hangs a sign around its neck to emphasize the efforts its writers and producers have taken to create something true in design and spirit to the original Star Wars. It’s evident in the reliance upon Ralph McQuarrie’s designs which permeate all sectors of the show, including even the design of one its main characters. It’s also visible in the scenes which are framed as if Lucas himself was behind the camera, and while George may not be the best script writer or the actor’s director, he is quite competent when it comes to framing a scene. Vader’s presence in the show’s first season occurs approximately twice, a fleeting moment in the premiere episode (movie?) and then another glimpse at the conclusion of the season finale. Both times it is almost the specter of Vader than the character itself. In the premiere movie of season two, “The Siege of Lothal,” Vader is a principal actor in its events, very much in the style of the Original Trilogy. Where as in A New Hope, Vader is a character who reacts to events, in “The Siege of Lothal,” he is similar to his role in The Empire Strikes Back, a character who plots and pursues. Also like Empire, the main screen time is given to the heroes, and Vader’s longest screen time occurs when the two finally encounter each other. In said interaction, Vader is frightening and powerful. He is as menacing as he first seemed when boarding the Tantive IV and the heroes just barely escape with their lives in the confrontation. What is the difference then between Vader’s appearance in the two new expanded universe properties, Tarkin and Rebels? It’s a certain respect for the helmet and mask. In the former, the author is not given as easy a tool as a camera (pseudo or real) to allow Vader to fill a frame with implicit danger, but turns to thinking of the man beneath the mask and armor. In Rebels, the writers and producers are allowed to rely upon every cinematic presentation of Vader to imbue their villain with everything right in his presence. More importantly, Vader is not the main subject of their story, just the threat which constantly builds to the climax of the story. It’s a story of how to present Darth Vader, is it one of Anakin Skywalker within a suit of armor, or is it of a suit of armor which far better represents the individual within than his past identity? More aptly put, is the story about Anakin or is it about Vader, because the two are not one and the same as peculiar as that sounds. In the Original Trilogy, even the Emperor treats Darth Vader as a different person, rather than saying Vader’s son, he says the son of Skywalker. Now how does this go back to our title? One of the best moments for Darth Vader in perhaps his best film, Empire, is the moment near the end when the Millennium Falcon against all expected odds leaps to hyperspace, eluding Vader’s Super Star Destroyer. 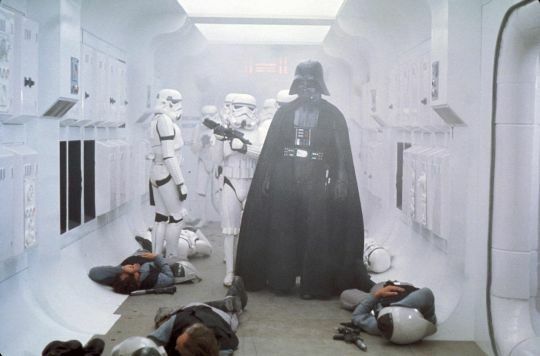 The imperial officer next to Vader is visibly frightened, knowing his predecessor lost his life for the same event. In this case, Vader is simply silent, and we are left to guess what’s going on inside his head. Everything is a mystery and that mystery makes Vader a much more complicated and intriguing character. Yet, now, we have not only a full length novel dedicated to another Vader buddy adventure (Palpatine this time), but even a comic book series (2), and everything unwrapping a character originally an enigma. The problem of having too much information is a real one in this case and part of the beauty of Vader’s character is the lack of it, not the opposite. 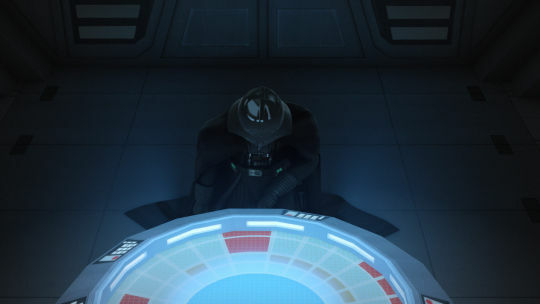 At the conclusion of “The Siege of Lothal,” it is revealed that Vader learns that someone from his past is still alive. Vader’s thoughts and feelings on the matter are never stated, but most importantly, our Dark Lord of the Sith informs the Emperor it is not someone he knew, but a person from Skywalker’s past. This is the Vader I fear and love.